All collecting institutions endure the frustration of never having sufficient space for the display and storage of their – always – expanding collections. This is particularly true for large public institutions, like the Queensland Museum, occupying premium CBD real estate. It’s partly for this reason that the provenance of a donation offer is now being subject to ever more scrutiny. The GMH inspector’s stamp which substantiated the likely source of this Lincoln wreckage. Museum professionals are being challenged to show that this is at least demonstrable, if not substantial. Queensland Museum curatorial staff were recently presented with one such challenge after having been offered aircraft wreckage allegedly retrieved from the well-known Avro Lincoln (A73-64) crash site atop Mount Superbus in the state’s south-east. Although it remains a popular hiking destination, and one of Queensland’s best-known and most visited aircraft crash-sites (second only to the Lamington National Park’s Stinson VH-UHH), the Queensland Museum had nothing in its collections relating to this significant cultural site. Similarly, there is nothing in its collections relating to the RAAF’s 10 Squadron – to which A73-64 belonged – despite that unit having been associated with Queensland in general, and Townsville in particular, for almost quarter of a century (equipped with GAF Lincolns for almost half that time (1949 – 1962). Proving however that this twisted, unrecogniseable, and seemingly unmarked piece of aluminium had originated from atop Mount Superbus was proving problematic. While curatorial staff had no reason to doubt the veracity of the donor’s claim, they needed something more evidential on which to hang a provenance claim. The thicker-than-usual aluminium sheeting was certainly suggestive of a large multi-engine aircraft, and the external silver finish was also consistent with the livery known to have been used then by A73-64, and all other No.10 Squadron Lincolns. Since the Second World War, all aircraft sub-assemblies have been impressed with part numbers and inspection stamps. The former can typically serve to identify the type of aircraft while the latter confirms the manufacturer. Although in this instance we were able to locate a tiny (4 mm) inspector’s stamp it initially proved to be more of a hindrance, than a help. As one of sixty-eight Lincoln B30’s built by the Government Aircraft Factories in Melbourne we expected to find an inspector’s stamp bearing the signature abbreviation “GAF”. 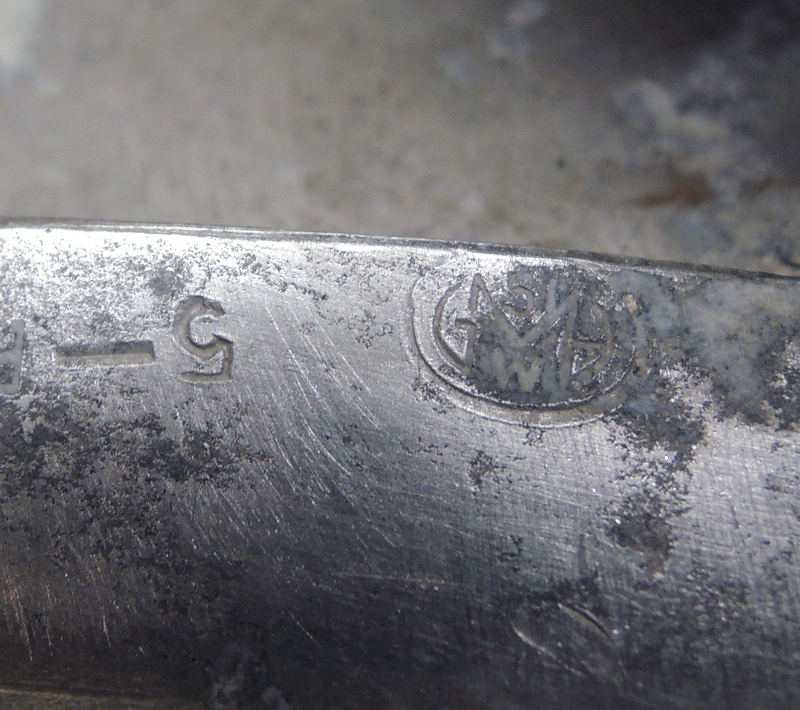 What we found instead though (see accompanying image) was an inspector’s stamp bearing the all too familiar abbreviation “GMH” (General Motors Holden). Since GMH had been producing aircraft during the Second World War it was possible that surplus sheet metal stocks were used by GAF when Lincoln production commenced in 1946. With further research however we were able to establish that Holden’s Woodville plant in South had in fact been sub-contracted to produce GAF Lincoln wing components. Together with the other circumstantial indicators, this was enough to conform beyond all reasonable doubt that the wreckage being offered to the Museum was indeed from the wing of the Mount Superbus Lincoln.